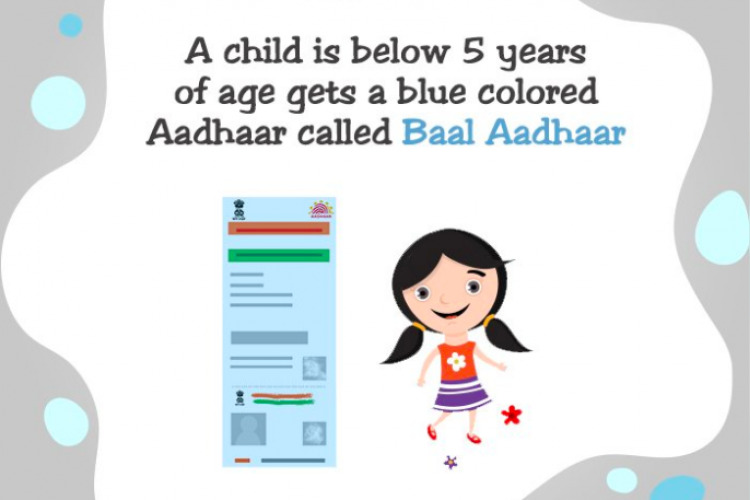 After making Aadhaar cards mandatory for children going to school, UIDAI has come up with 'Baal Aadhaar' cards for the children below the age of five years. Although the 'Baal Aadhaar' will be issued without any biometric details but when children turn 5 they have to complete a mandatory verification process and again when they become 15 years old. These are blue in colour and UIDAI made this announcement on Twitter.